Procurement - ITR Concession Co. LLC. 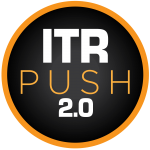 Thank you for your interest in working with ITR Concession Company LLC (ITRCC). ITRCC is dedicated to building strong, long lasting relationships with all its suppliers who operate in a safe, responsible and efficient manner. ITRCC makes decisions based on achieving best value by considering not only price, but also any potential risks or benefits a potential supplier may provide. ITRCC is committed to working with 90% Buy Indiana suppliers on all contracts for construction, repairs and maintenance. ITRCC is also committed to award a minimum of 12% (6% Woman owned/6% Minority owned) of each construction, repair and maintenance contracts to Indiana Department of Administration (IDOA) certified Woman and Minority owned businesses (W/MBE). To be a registered ITRCC bidder and receive RFP/RFQ notifications, please complete a supplier application. Please click on the links below for available projects, Contractor Safety Documents, and Contractor Forms. Bid Status: OPEN until May 6, 2019, 12:00 PM (EST). ITR Concession Company LLC (“ITRCC”) is requesting bids from responsible contractors for the following services. A brief description is set forth below, with detailed requirements in subsequent sections. ITRCC is a privately owned company that finances, operates and maintains the Indiana Toll Road. ITRCC desires to perform pavement resurfacing and repairs at various locations on the Indiana Toll Road. The work includes all steps, items and materials necessary for to complete the Scope of Work in accordance with current INDOT standards and specifications, the Special Provisions, and the IFB. Contractor shall provide all Maintenance of Traffic in accordance with IMUTCD, INDOT, and ITRCC standards. ITRCC requests bids from responsible contractors. Posted on: April 17, 2019. Bid submission deadline: May 6, 2019 by Noon. You must be logged in to download the Bid Pack, Login Here. Bid Status: OPEN until April 29, 2019, 12:00 PM (EST). Bid Status: Open Project ID: CON 0805 2019-04-08 M2/M3 Acceleration/Deceleration Ramp Project ITRCC is seeking a qualified and experienced contractor to construct acceleration and deceleration lanes adjacent to the mainline Indiana Toll Road at the M2 and M3 maintenance facilities. Work will generally consist of grading and pavement construction. Posted on: April 8, 2019 Bid submission deadline: April 29, 2019 by 12:00pm ET. Bid submission deadline: April 29, 2019 by Noon. ITRCC is seeking a qualified and experienced consultant (the “Consultant”) to perform an in depth study of several areas along the ITR and develop a strategic plan determining the best location(s) for additional truck parking. Sufficient truck parking is critical to ensure toll road safety and to allow drivers a safe place to rest when they reach the end of their hours-of-service limits. The intent of the study/strategic plan is to improve truck driver safety by ensuring there are adequately spaced rest/parking areas with amenities. The selected consultant will have demonstrable experience in parking, transportation, surveying and civil consulting, with special consideration given to firms with tolling or public service parking type experience. Posted on: November 27, 2017. Bid submission deadline: January 3, 2018 by Noon. Please select from the links below to review and download RFP/RFQ documents. Please fill out and return to procurement@indianatollroad.org. ITRCC is dedicated to its Safety First Program. All contractors working on the Indiana Toll Road are responsible for knowing and adhering to safety policies. Please fill out and return to safetydepartment@indianatollroad.org. Please call (574) 651-2458 or email: procurement@indianatollroad.org with any procurement questions.